Gingivitis. This is the earliest stage of periodontal disease where the gums are inflamed due to bacterial build up along the gumline. The damage occurring at this stage can be reversed since the supporting bone and tissue have not been compromised. Periodontitis. 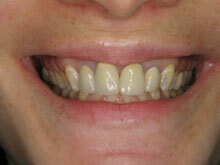 During this stage of periodontal disease, the supporting bone and tissue are now irreversibly damaged. The bacteria has progressed below the gum line and your gums may begin to form pockets, which trap food and plaque. Advanced Periodontitis. This is the most advanced and severe stage of periodontal disease. During this stage, the supporting bone and tissue are completely destroyed which causes teeth to shift, drift, or eventually fall out. Antibiotics can sometimes help, however, it is only a temporary solution. Regular periodontal maintenance check-ups and cleanings will always be needed to keep the bacteria from attacking your gums and teeth again. When the sugars and starches from the food you eat interact with the bacteria, plaque begins to form on the teeth. 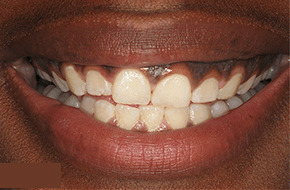 If not removed, plaque can harden into tartar, also known as calculus. Calculus also originated from your saliva and will always return. Calculus sticks to your tooth and root surfaces and cannot be removed by brushing and flossing alone. Professional assistance is needed to remove it from your teeth. 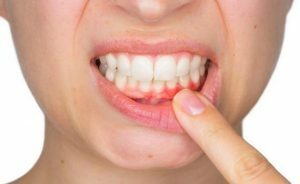 Chronic gum inflammation can cause periodontal disease. 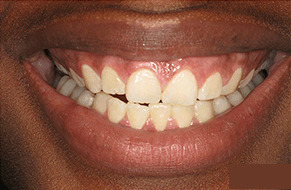 The inflamed gums create pockets where bacteria and plaque can harbor and manifest. Practicing good oral hygiene, such as brushing your teeth twice a day, flossing daily, and regular dental checkups, can help your treatment and reduce your chance of developing periodontal disease. Plaque is constantly forming on the teeth. 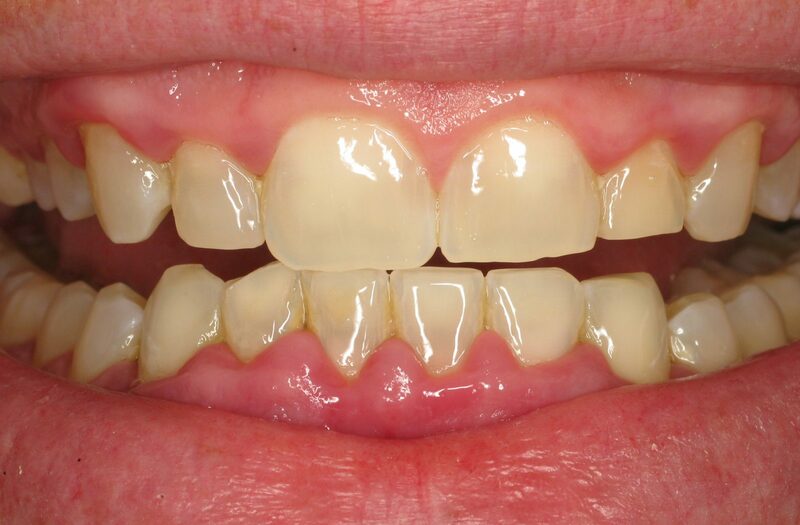 Plaque irritates the gums, causing them to become red, tender, and swollen. 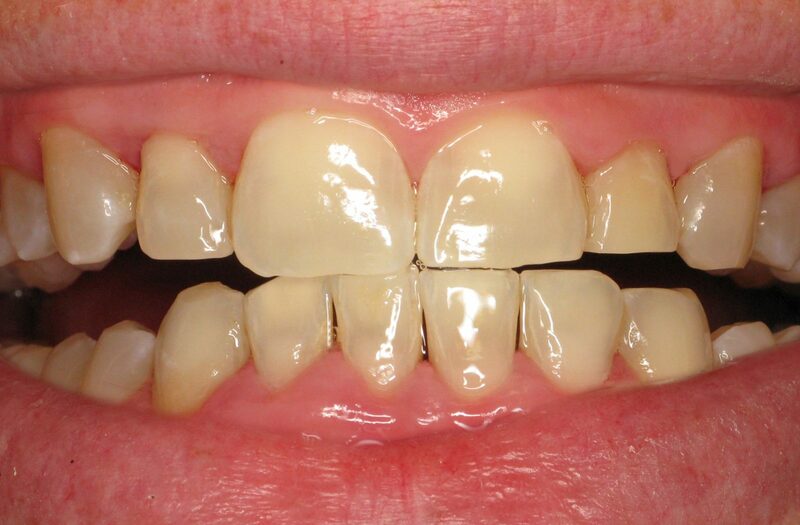 If it is not removed daily, plaque progresses to a hard material known as tartar or calculus. Calculus cannot be removed by brushing and flossing alone. A dentist, periodontist, or hygienist must remove it manually to stop the disease process. Brush. Practicing good oral hygiene and brushing your teeth daily helps remove bacteria and food particles and massage the gums. Be sure to brush twice daily for a complete two minutes. Floss. Flossing is essential for removing any food particles and bacteria that are trapped between the teeth and slightly below the gumline that a toothbrush cannot reach. Regular dental checkups. During routine dental checkups, the dentist will examine the gums and other oral tissues for signs of any periodontal disease. 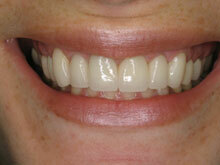 A professional dental cleaning will be performed that will remove the excess plaque and bacteria below the gumline.